Unable to find what you are looking for? Send us an email in Contact Us for a quick reply. 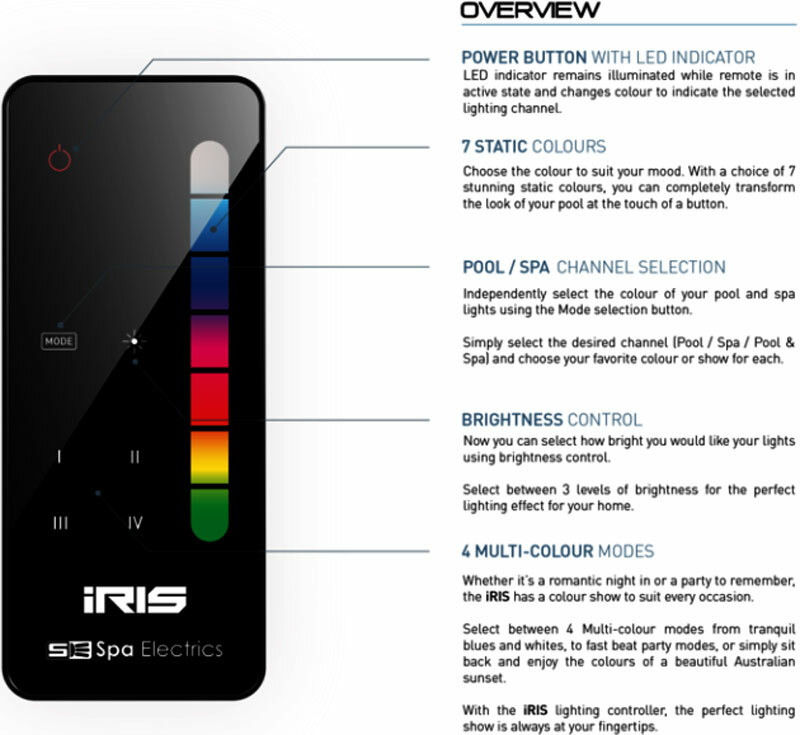 The iRIS lighting controller allows you to take complete control of your pool lights through the elegant, purpose built iRIS touch screen remote. 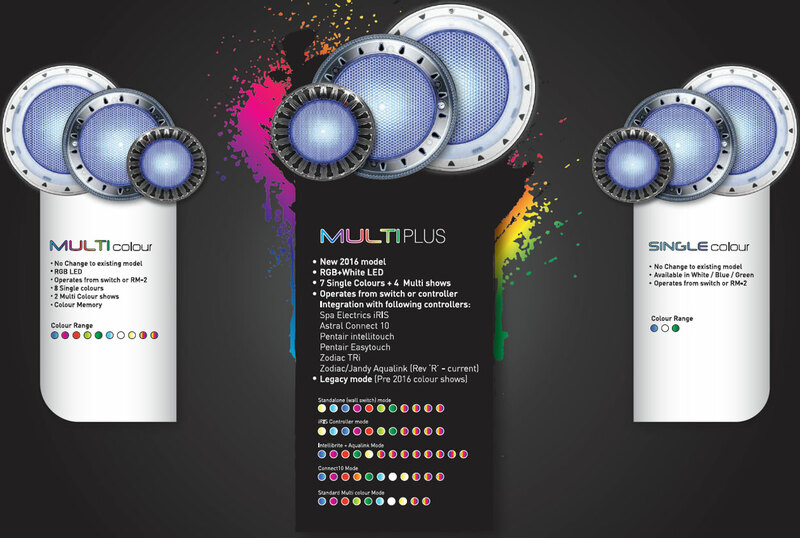 Change colours, adjust brightness and have independent control of your pool & spa lights, all at the touch of a button. Simply connect the iRIS to an existing power outlet and plug in your pool light transformers for instant control of your lighting system. Designed for Australian conditions and with over 30M line of sight range, the iRIS’ long range RF remote gives you the freedom to operate your pool lights from in and around your home. Using Spa Electrics patented 2-Wire technologies, there is no need to replace existing pool light cable or transformers, simply install a MULTIPLUS light and iRIS controller to your existing pool light system.